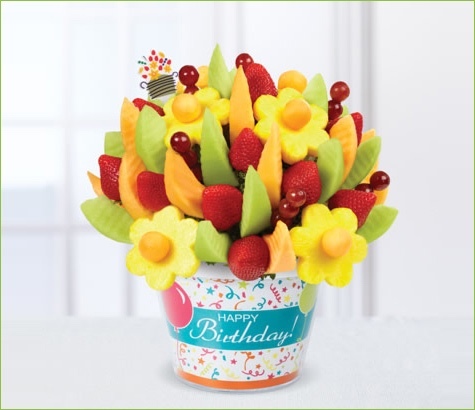 Send a sweet birthday surprise with our Happy Birthday Delicious Fruit Design®! Crafted to look just as good as it tastes, this delightful arrangement boasts an impressive assortment of fresh fruit flavors - including our iconic pineapple daisies and strawberries! Made in a custom Happy Birthday container, this treat is an unforgettable way to make their birthday better than ever!